Still simple and sleek, AirPods remain the no-fuss option for Apple fans. Welcome to the age of incremental updates. In late 2018, Google gave us an “update” to its HD Chromecast that amounted to little more than a new coat of paint, and a $5 price hike. 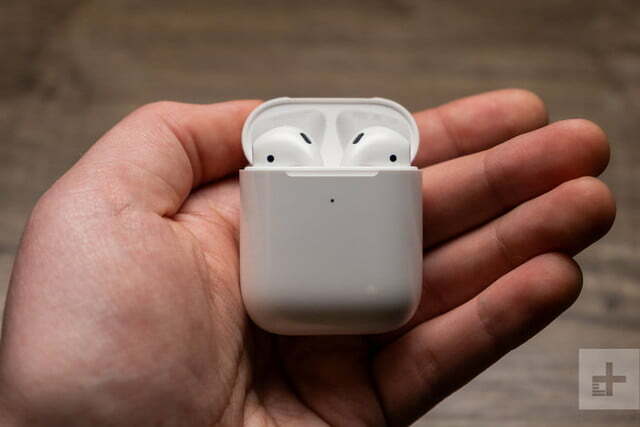 Months later, following years of speculation about new fitness features, waterproofing, and even health monitoring, Apple has offered a similarly humdrum update to its crazy-popular AirPods that includes none of those rumored features. 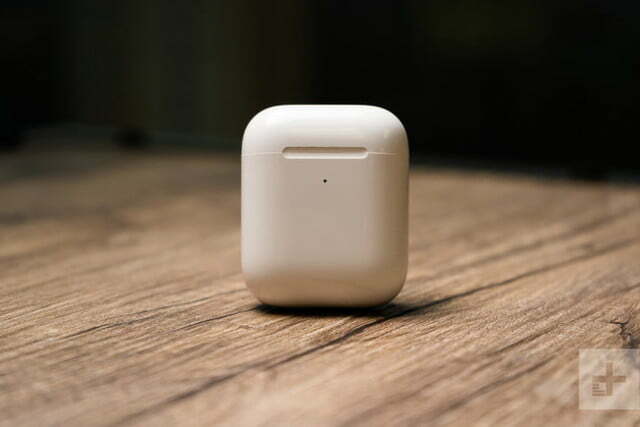 The new AirPods’ marquee upgrades are more talk time (three hours instead of two), quicker Siri access, and a wireless charging case (at a $40 surcharge). 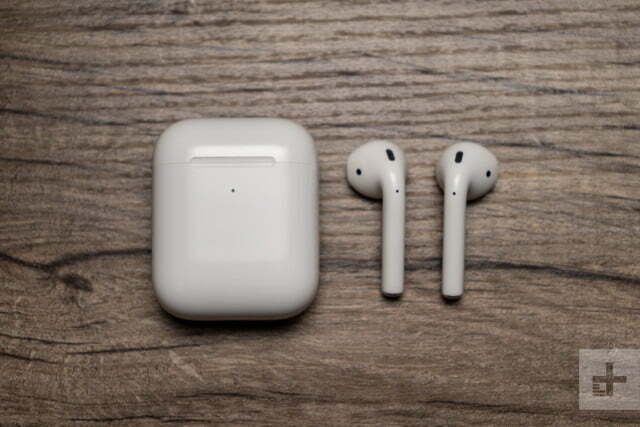 While these changes will be a boon to many of Apple’s diehard users, for those on the fence, a flurry of other true wireless options packing more features, better battery life, and waterproofing should be enough to push the latest AirPods a few pegs down your shopping list. One thing that thankfully hasn’t changed with the latest AirPods is their ridiculously easy setup for Apple devices. I left the iPhone behind a year ago for the improved sound and versatility of LG’s V30 (it has a headphone jack!) but I still have my trusty iPhone 6 bumping. 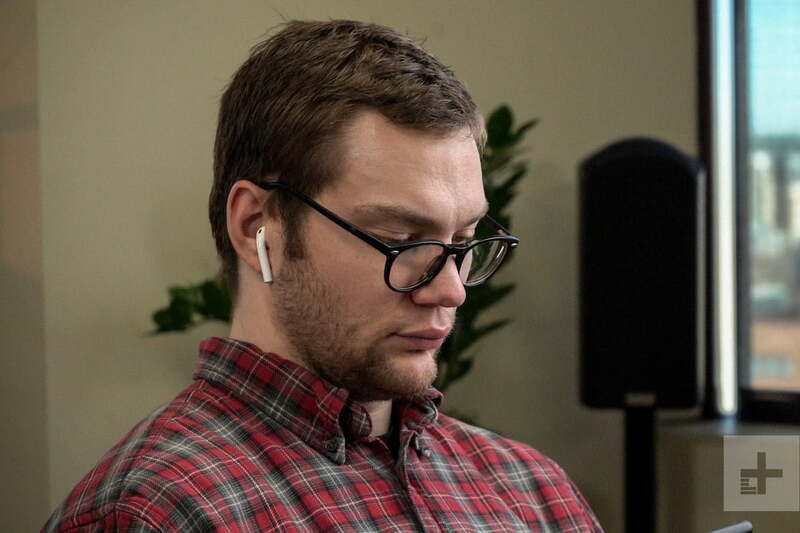 I have to admit I marveled at the AirPods’ ease of connection to it. It outdoes every competitor on the market when it comes to simplicity. Just open the case, hold the new AirPods next to your iPhone, and you’re ready to rock. Once paired, they’ll show up automatically on any of your iCloud-connected Apple devices. For all other phones, you’ll need to force pairing by opening the charging case (keeping the AirPods inside) and holding the tiny button on the back, but it’s still pretty painless. Once you see the blinking LED, just select them from your phone’s Bluetooth settings. Whether you’re still enamored with Apple’s coveted hardware sparkle or, like me, you’ve become a bit jaded by its iterative design practices, you can’t deny the brand knows how to make a pretty package. 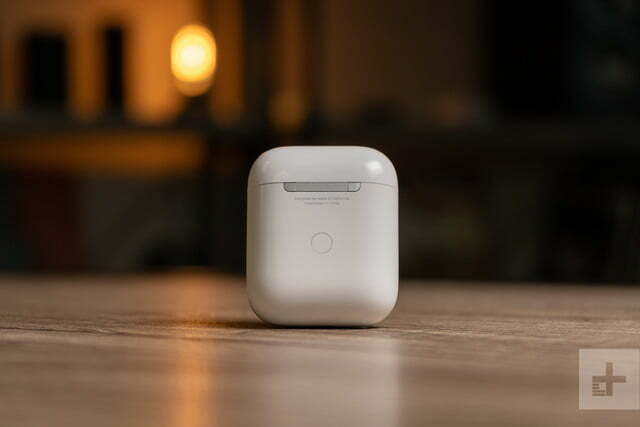 Having only tested our aging review AirPods, I was impressed not only with the look and feel of the gleaming white AirPods as I unboxed them, but also how compact that charging case is. 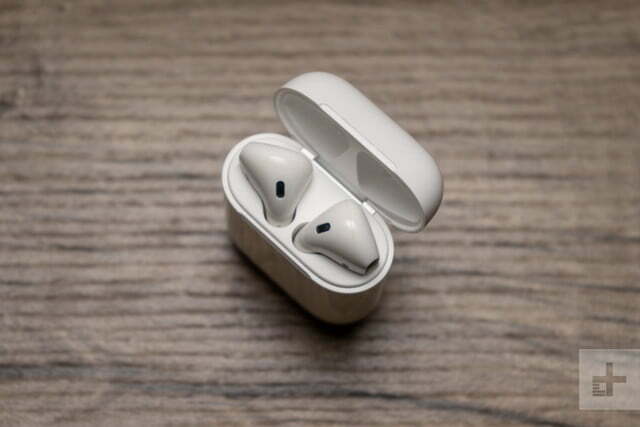 Inside the succinct package, you’ll find only the case with those pearled, golf-tee shaped AirPods nestled inside, some basic instructions (with incredibly small print), and a Lightning cable for the charging case. If you’ve picked up the wireless version at $199, you’ll need to supply your own Qi charging mat. 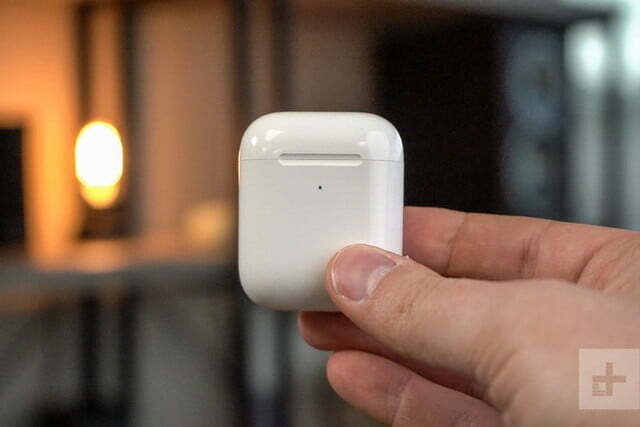 The only visible difference between AirPods old and new is the new wireless charging case, which transplants the LED to the front. This allows you to see charging status when the case is placed atop a Qi charging pad. The tiny case claims the same amount of reserve charging it did nearly three years ago, offering up to 24 hours which still beats most competitors. Unlike Samsung’s new Galaxy Buds, you can’t charge Apple’s case from the back of its corresponding phones. 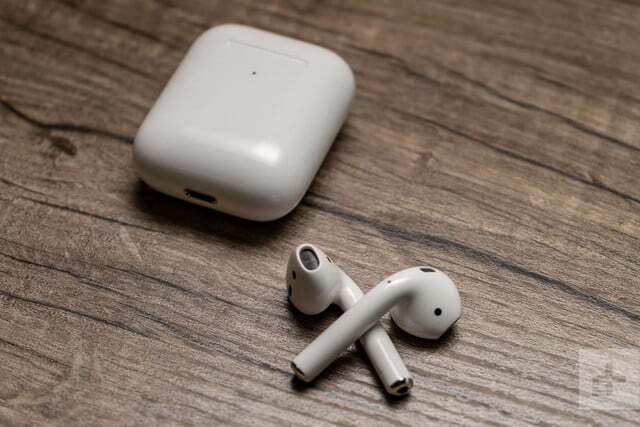 And while Samsung’s cheaper Galaxy Buds offer less charge time on reserve, they best the new AirPods with 6 hours of listening time per charge compared to the same 5 hours Apple boasted in 2016. 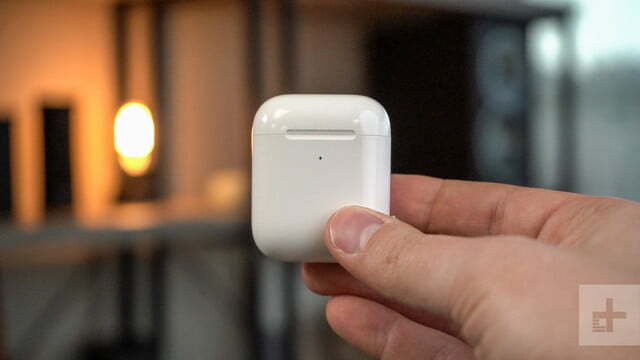 Like before, each AirPod works on its own if one bud runs out of juice, and they auto-pause audio quickly when you take one out — but only with Apple devices. The onboard controls are the same as before, which is to say they’re still lacking when it comes to volume and song skipping by default, offering only play and skip forward with a double tap. You can update play/pause, next track, and previous track in your iPhone’s Bluetooth settings on either earbud if you’re so inclined. But for volume, instead of adding touch controls like most true wireless buds (including Mobvoi’s copycat Ticpods Free), Apple employs Siri. Changing the volume with a simple “Hey Siri, turn it down” is easy enough if you don’t mind talking to yourself, but without an Apple device, you’re stuck doing it manually on the device. As for other commands, I was impressed by Siri’s quick response for a variety of tasks, all without the need to click a button. Not to be confused with the virus, Apple’s new H1 chip is what makes the new “Hey, Siri” feature possible. It also enables lower gaming lag, and “50 percent faster” connection for phone calls — though we didn’t really notice much difference there in comparison to other true wireless earbuds, including the original AirPods. Apple also claims the H1 chip offers better call quality in windy environments by eliminating distortion. I tried this out in moderate wind, and while the caller on the other end didn’t notice the whipping breeze, they did note that my voice sounded “buzzy.” Still, calling works well, even with a fair amount of ambient noise. As mentioned, features that weren’t added to the new package include increased battery life, waterproofing, or any design changes aimed for aiding your sweaty workout. That said, battery life is still quite respectable (for now, anyway) and plenty of people have found the AirPods suitable for their daily grind — apparently they don’t sweat as much as I do at the gym. Some people will tell you that virtually all true wireless earbuds offer the same sound quality. Those people are wrong. The best options, like Sennheiser’s Momentum and (to a lesser extent) Master and Dynamic’s MW07, sound quite good, while cheap pairs from lesser-known brands can sound terrible. Most others from name brands, however, do offer the same sound quality: Not bad. Apple’s new AirPods fall into the “Not bad” category with most rivals. 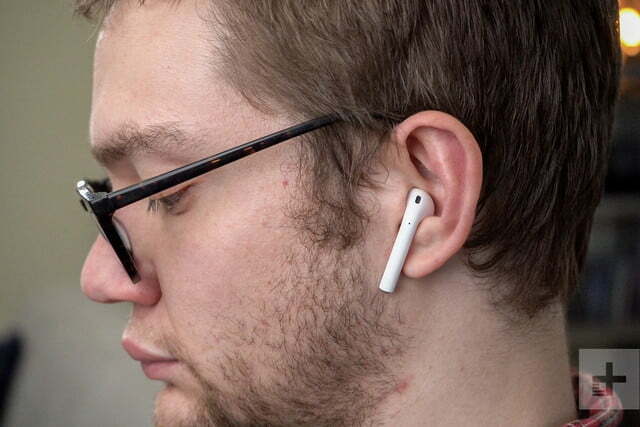 If you’ve heard the original AirPods (or even Apple’s wired EarPods) you know the drill. Attacks of instruments are smoothed over for a soft and pleasant warmth. The midrange and treble are clear, but lack definition or presence. Bass is full and impressively powerful, but not as tight or musical as what you’ll get from performance-aimed earbuds, leading some instruments to get lost in the mix. The result is a readily accessible sound designed not so much to please everyone as it is to offend no one. It’s a smart strategy — especially when you’re trying to lasso the most users possible — and seems emblematic of Apple’s overall design strategy as of late. In comparison to Samsung’s rival Galaxy Buds, the AirPods’ sound is heavier with perhaps more detail, but the Galaxy Buds hold their own well. One thing to note is that the AirPods seem a lot louder than many true wireless buds we test, offering plenty of power at medium volume level. 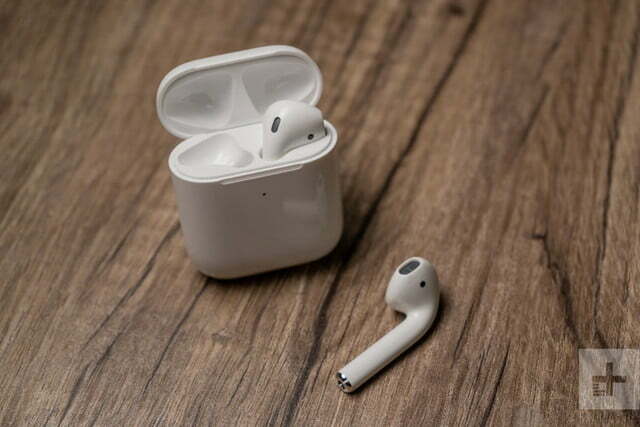 As previous AirPods users know, the Pods are designed to sit gently in your ear, letting in a fair amount of ambient sound. This lack of intrusion makes them relatively comfortable for long listening periods, similar to what Google aimed for in its Pixel Buds, but with better execution. It’s not great for loud environments, however, and while they’re pretty secure overall, they always feel just shy of falling out. 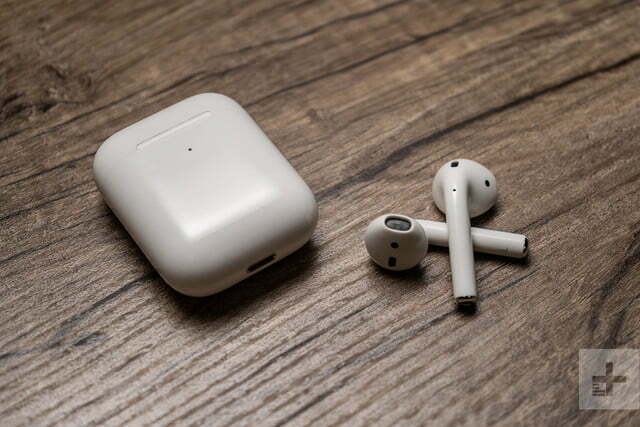 Apple’s new AirPods represent a modest update, but they should please Apple fans new to the true wireless genre, or those whose older AirPods are losing their luster (and/or battery life). 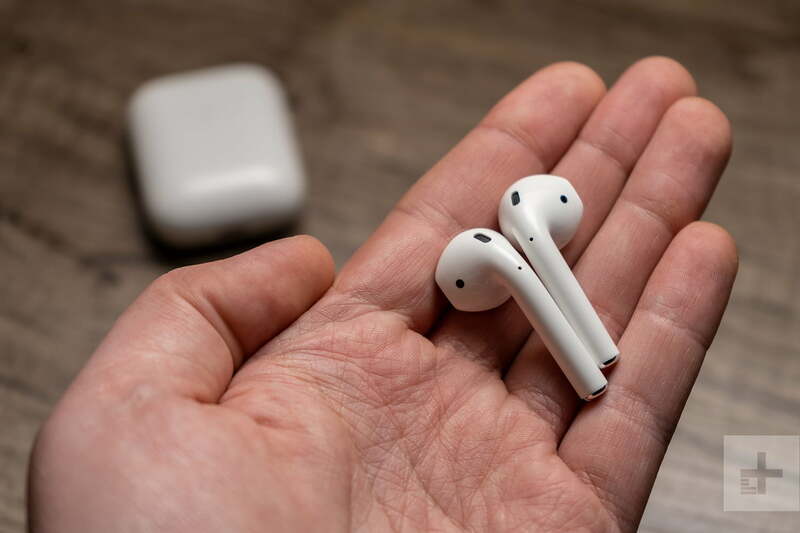 Features like button-free Siri access and wireless charging (for a fee) are welcome improvements, but they likely won’t be worth the upgrade for content AirPods owners, workout fanatics, or Android users. That is the million dollar question for the AirPods. 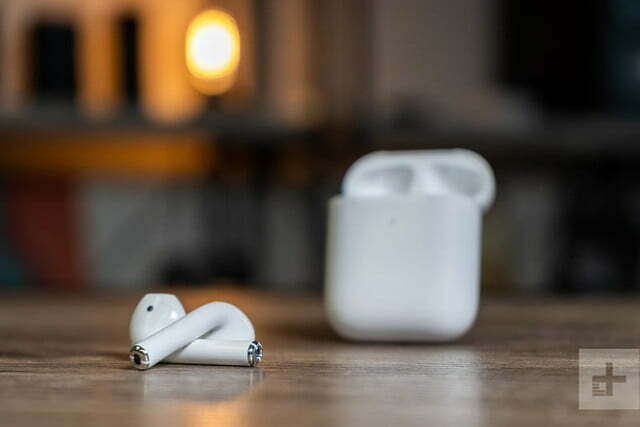 In the two-plus years between AirPods updates, the rest of the true wireless crowd has improved by leaps and bounds. 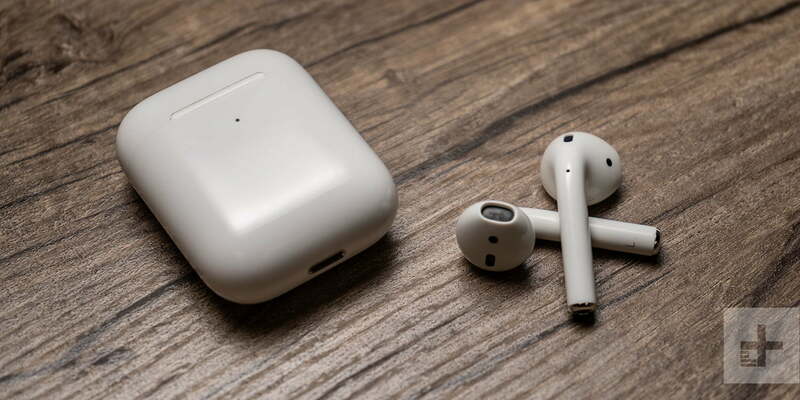 In short, the things that made Apple’s AirPods so special in 2016 — namely intuitive setup, clear sound, and rock-solid connection — aren’t so special anymore. That’s particularly true for those who now have (or may have in the future) a phone from a company other than Apple. In the next year or so, we can expect battery life for true wireless earbuds to increase by as much as double the AirPods’ 5 hours, alongside plenty of other feature upgrades. 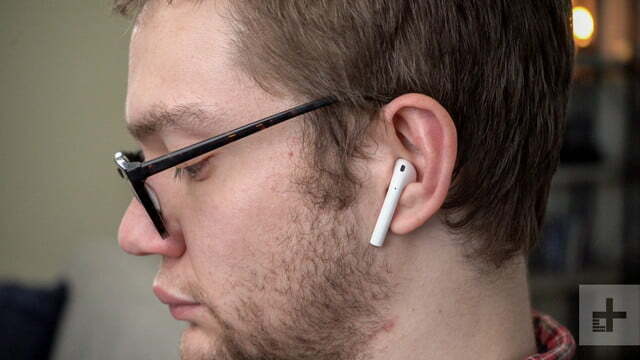 While Apple’s AirPods still compete quite well, this may not be the case in 2020. For those deep in the Apple ecosystem, Apple’s AirPods may still make the most sense — as long as you’re not a heavy sweater or rain walker. That said, I’d push such users who want to save some cash to Apple’s first-gen AirPods first if you can get a good deal. 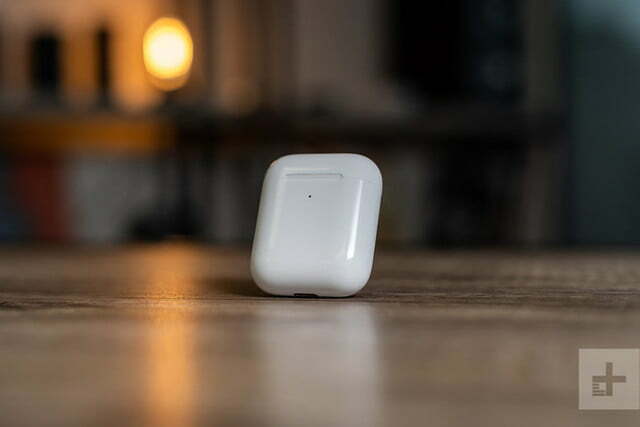 For everyone else, it’s well worth doing some serious shopping around before just grabbing the AirPods, starting with our constantly updated list of the best true wireless earbuds. The AirPods are still contenders, but they’re far from the only game in town in 2019. And the competition is only getting stiffer. 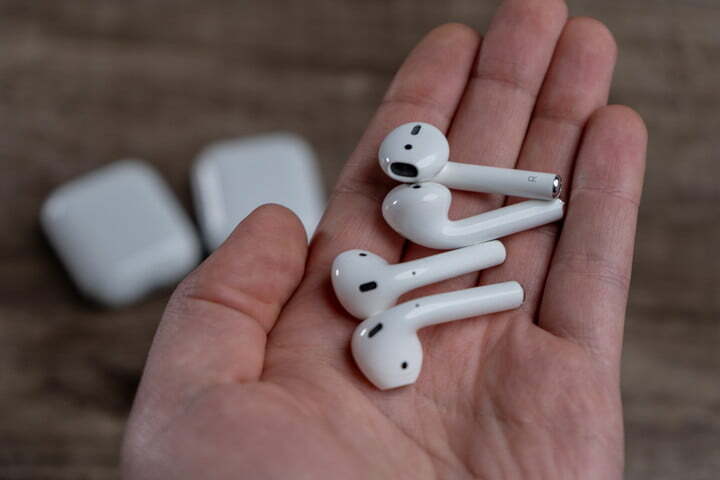 Updated 4-3-2019: Added our new comparison video between Apple’s AirPods from 2016 and this new pair.